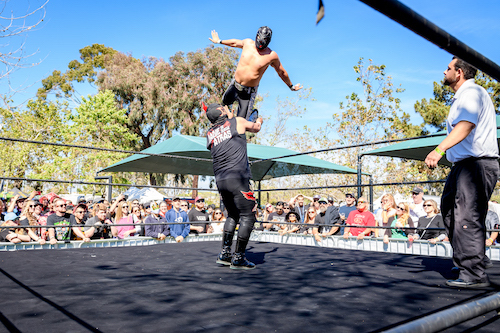 Sabroso Craft Beer, Taco & Music Festival powered by Gringo Bandito expanded its flagship Southern California event to two days (April 6 & 7) in 2019, and the 6th annual festival brought 20,000 fans to Doheny State Beach in Dana Point, CA for a weekend of craft beer sampling, gourmet tacos, Lucha Libre style wrestling, and music from The Offspring, Flogging Molly, Bad Religion, Descendents, Black Flag, Face To Face and more. 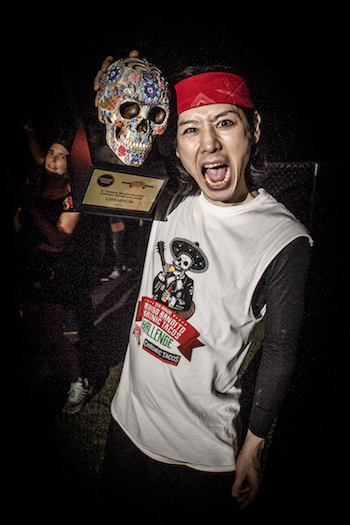 Multiple world record holder Takeru Kobayashi proved himself as the reigning champion, successfully defending his Gringo Bandito Chronic Tacos Eating Championship title yet again on Sunday, despite stiff competition from Molly Schuyler. Kobayashi devoured 157 tacos in 10 minutes — just shy of his 2017 world record-setting total of 159 — to earn his 9th consecutive championship, edging out Schuyler, who set a personal best, downing 146 tacos. The record was made official, and documented by Corey Henderson, CEO of RecordSetter.com, the new authority for world records. Sabroso attendees got in on the taco eating action as well, enjoying tacos from a variety of Southern California's best vendors, including the Sabroso Best Of Show taco from Pink Taco (poached octopus taco with chorizo, potatoes, onion, and peppers) and runners up from Fiesta Gourmet (fried beer battered shrimp taco over a bed of pickled cabbage, topped with two salsas) and Sol Agave (slow-roasted pork belly taco with tomato mint slaw and fresh pineapple). Attendees also had a chance to sample (and top their tacos) with all flavors of Gringo Bandito — Dexter Holland of The Offspring's award-winning hot sauce — including the debut of the new Spicy Yellow sauce, the 4th in a lineup that also includes green, red and super hot. Attendees 21+ complemented their tacos with complimentary samples of over 150 craft beers each day until 4pm, from world-renowned Russian River Brewing to local favorites including Artifex Brewing Company, Burgeon Beer Co., Wild Barrel, and more, to exciting newcomers like The Shop Beer Co. and Papa Marce's Cerveceria. The full music lineup for Sabroso at Doheny State Beach included Flogging Molly, Bad Religion, Lagwagon, Strung Out, The Suicide Machines, Adolescents and D.I. on Saturday and The Offspring, Descendents, Black Flag, Face To Face, Plague Vendor, Red City Radio and Orange Blossom Special on Sunday. 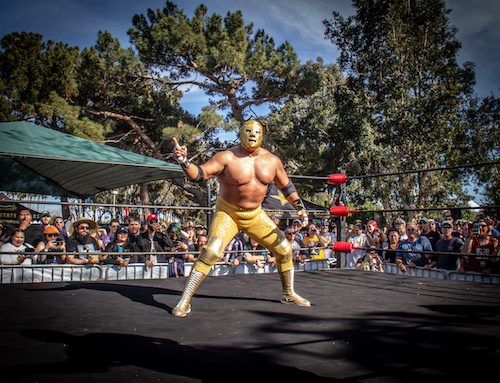 In addition, fans were entertained throughout the weekend by Lucha Libre style wrestling matches with renowned luchadors including Cesar Gonzalez (Silver King) — widely known for his role as Ramses, the villain wrestling champion in the film Nacho Libre (starring Jack Black) — who returned to Sabroso to reclaim his title as of "King Of The Ring." In the Orange County Register [April 7, 2019], Kelli Skye Fadroski wrote of Sabroso's first day: "Though there is live punk rock music courtesy of D.I., Adolescents, The Suicide Machines, Strung Out, Lagwagon, Bad Religion and Flogging Molly, the tacos were also a pretty big deal. There was something for every palate with a variety of fish, beef, pork, chicken and vegan options served up in ways that ran wild in the imaginations of chefs from all over Southern California…For the first few hours of the Sabroso Craft Beer, Taco & Music Festival…the focus is on the craft beer…it's a true education and exploration into a variety of styles of craft beer." 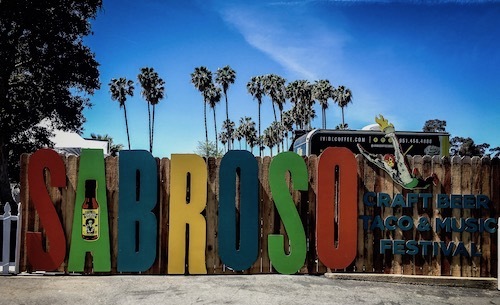 Steve D'Onofrio of OC Weekly proclaimed, "With craft beer tasting, taco eating contests, and lucha libre wrestling matches, Sabroso is truly one of a kind" [April 9, 2019]. Sabroso Craft Beer, Taco & Music Festival heads next to Utah State Fairpark in Salt Lake City, UT (April 27) and Fiddler's Green Amphitheatre in Denver, CO (April 28) for single day events featuring craft beer sampling, gourmet tacos, Lucha Libre style wrestling, and music from The Offspring, Sum 41 (Salt Lake City), Bad Religion (Denver), The Vandals, Black Flag, Strung Out and Dwarves. Tickets for both shows are on sale now at www.SabrosoTacoFest.com. Sabroso is produced by premier music festival production company Synergy Global Entertainment, Inc. (SGE) and California's most successful and respected craft beer festival producer Brew Ha Ha Productions. A portion of the proceeds from Sabroso will be donated to the Doheny State Beach Interpretive Association (DSBIA), the non-profit cooperating association of Doheny State Beach, dedicated to the protection of the park's beaches, facilities, marine refuge and its historical, cultural and social stories. Sabroso also partnered with Big Brothers Big Sisters, who are known for providing strong and enduring, one-to-one, professionally supported mentoring relationships for youth facing adversity. Sponsors for Sabroso Craft Beer, Taco & Music Festival include: Rockstar Energy Drink, Milagro Tequila, Gringo Bandito, and many more. Sponsor activations vary by market. Orange County, California based Synergy Global Entertainment, Inc. (SGE) is one of the world's premier music festival production companies. SGE events include music and lifestyle festivals across a variety of genres and interests, with over 100 major festival dates planned for 2019. SGE produces or co-produces Back To The Beach; Big Adventure; Driftwood; ID10T Music Festival + Comic Conival; Knotfest; Lost Lands (Your EDM Best Festival of 2017 and Noiseporn 2017 Festival Of The Year); Moonrise Festival; MUSINK; Ohana Dana Point; Sabroso Taco, Craft Beer & Music Festival; 92.3 WCOL Country Jam + Campout; Scallywag!, and more. In addition, SGE co-produced the Rockstar Energy Drink Mayhem Festival and the worldwide Rockstar Taste of Chaos, and created and produced the Identity Festival, Oddball Comedy and Curiosity Festival, and Rockstar Energy UPROAR Festival. This year's SGE-affiliated events are projected to sell over 1.2 million tickets. In addition to festival production and promotion, SGE's in-house sponsorship agency procures and executes a multitude of partnerships in varying forms for global brands, top-tier artists, international booking agencies and more. One of the largest craft beer-centric event producers in the United States, Brew Ha Ha Productions (BHPP) celebrates its 10th year in 2019. 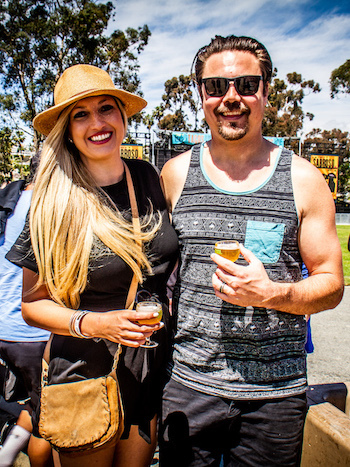 Fueled by a desire to promote craft beer, along with visions of creating unique annual events, Orange County based BHHP's award-winning and diverse events now reach beyond Orange County and California, including festivals in more than 12 US states. 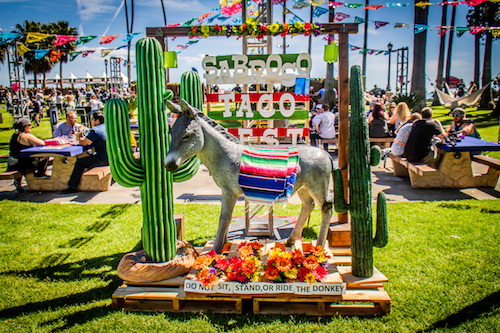 BHHP produces or co-produces OC Brew Ha Ha, Brew Hee Haw at the OC Fair, Brew Ho Ho Holiday Ale Festival, Driftwood Country, Craft Beer & BBQ Festival, Sabroso Taco, Craft Beer & Music Festival, Punk In Drublic, Scallywag and more! A for-profit organization whose missions includes giving back, BHHP has helped many non-profits raise awareness and money to further their worthy causes. Gringo Bandito was started in 2004 by Dexter Holland, singer for the multi-platinum punk rock band The Offspring, more as a hobby than a business. "I just thought it would be cool to have a hot sauce," says Holland. "I gave away the first batch as Christmas presents to my friends." The response to this new hot sauce was so overwhelming that Holland decided to put it out commercially. Sales were modest at first, and the hot sauce was distributed only in Holland's native Southern California. "It has always been a DIY operation for sure," Holland says. "It started small but it has just kept on growing." After several years and over a million bottles later, Gringo Bandito hot sauce has garnered a worldwide audience and a loyal following. "We're not the most well-known hot sauce out there," says Holland, "but once people try it, they're hooked." Gringo Bandito is now sold in Australia, Japan, Canada, Finland, Switzerland, UK, Poland, Germany, Belgium, Hungary and coast to coast in the US and can be found in the top 10 on Amazon.com's highest customer rated hot sauces amongst 5000+ other products.